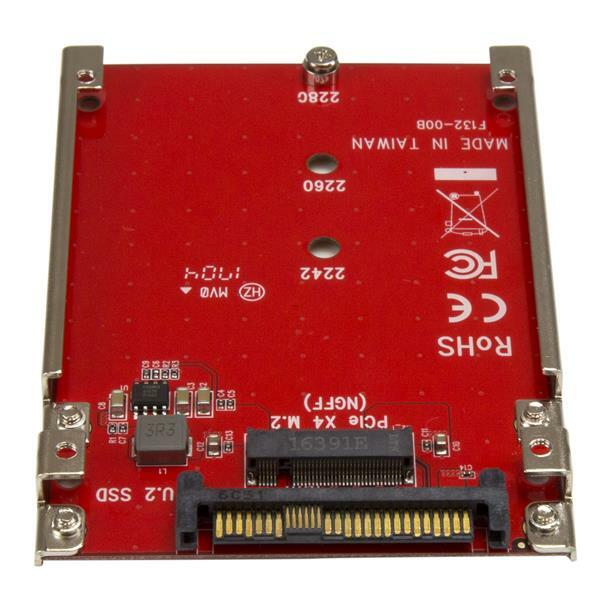 This PCI Express M.2 to U.2 adapter makes it easy to install an M.2 PCIe NVMe SSD into your desktop PC or server, and connect to the drive through an available U.2 (SFF-8639) compatible interface on your motherboard. 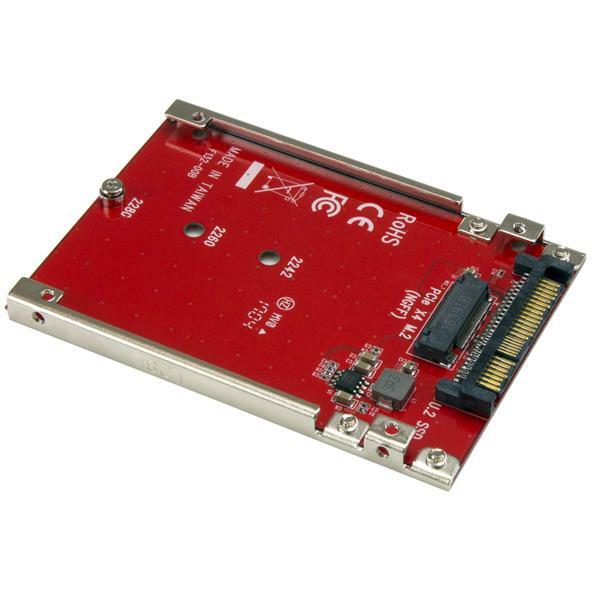 The M.2 to U.2 adapter is ideal for IT professionals, system integrators and installers, and enthusiasts who are building or upgrading a server or desktop computer. 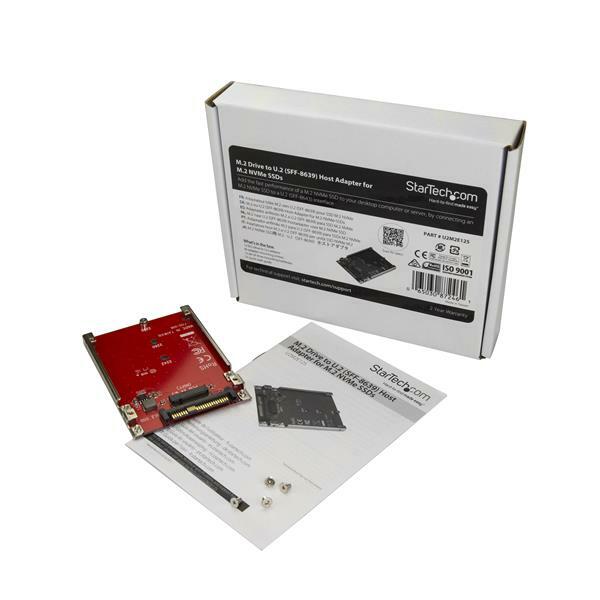 It supports one M.2 PCIe NVMe SSD (M-Key), providing a cost-effective way to add M.2 NVMe performance to your computer or server through an available U.2 (SFF-8639) compatible interface on your motherboard. 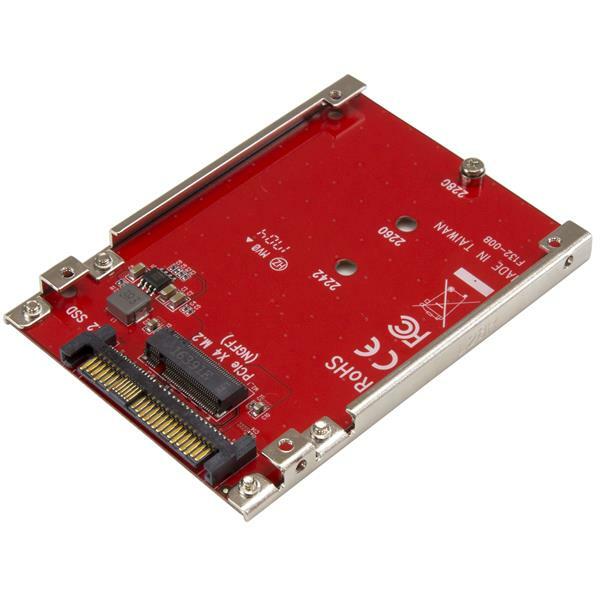 The M.2 to U.2 adapter works with all desktop PCs and servers that have an available drive bay or a U.2 (SFF-8639) compatible host interface. The adapter card is OS independent, so there are no drivers or software required for installation. The U2M2E125 is backed by a StarTech.com 2-year warranty and free lifetime technical support.